Donuts (or is it doughnuts, I am never quite sure.) Either way, that was my daughter's selection for a birthday theme. A donut (or doughnut if you prefer) party caught me off guard. I mean, what can you do with donuts? 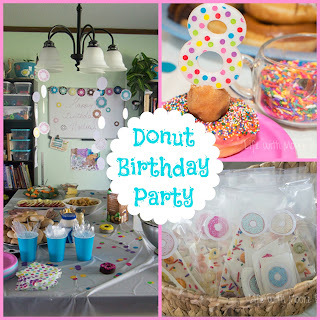 The usual movie or book themed parties, I can handle those, but donuts? 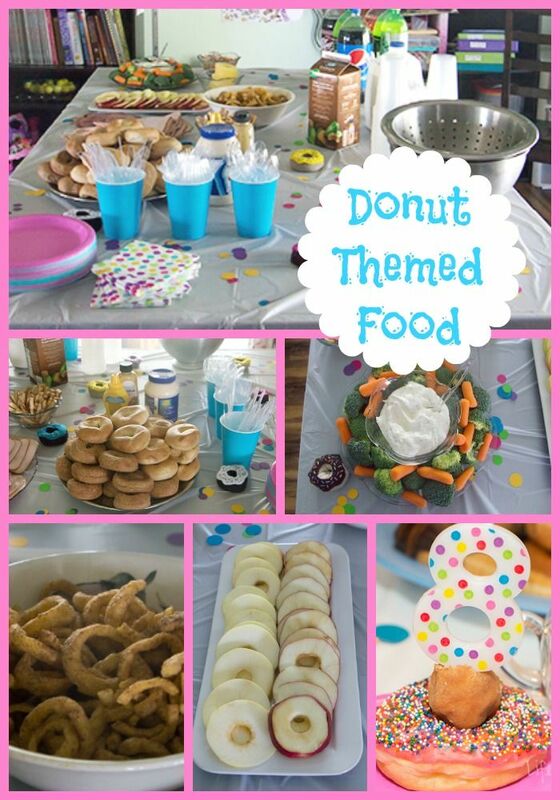 Really kid, and entire party around a food item? I actually tried to talk it out of her, but her donut theme stuck. So we began! We started with super cute donut invitations from Party Invites and More on Etsy that we used for our color theme, pink, blue, and sprinkles! Once I got looking I was surprised by a number of donut printables I found. 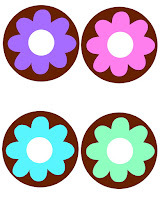 So we printed out these donuts to make garlands which we hung around the house, and we printed these to make stickers. 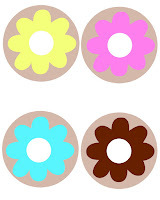 I also made a printable of my own with larger donuts to make a garland for the whiteboard, and you can grab it at the end of the post! 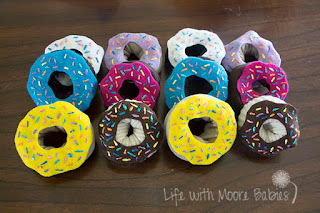 I was going to print even more to scatter around the tables, but instead, I came up with these cute sock donuts! I whipped up a dozen in no time, and they are now an adorable addition to my kids pretend food collection. We used clear balloons with white dots, sprinkles, on them. I wanted to put confetti in them, but apparently, it doesn't work so well with cardstock confetti because it all just floated to the bottom. So the confetti sprinkled all the tables! I even created a Sock Donut Headband for my daughter to wear! 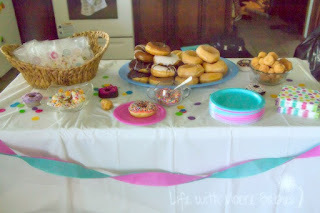 The funniest part about planning a doughnut party was that deciding on food was the hardest part. I actually had several thoughts on this. I could have served all breakfast foods, but I decided to truly embrace the donut theme and go with donut shaped foods. broccoli "donut" with carrot "sprinkles"
assorted drinks including chocolate milk; donuts need chocolate milk! Of course, for dessert, we went with an assortment of donuts! A special pink one with tons of sprinkles for the birthday girl and then an assortment for the guests. 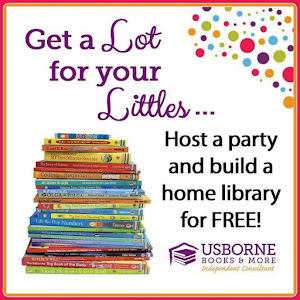 I try to go easy on favors because no one needs a whole bunch of useless stuff from a party. 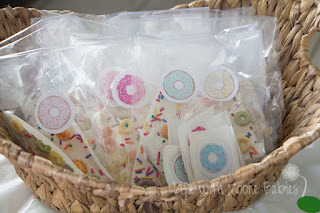 For our donut themed favor, I created "Donut Bark." Just a little treat for the kids to take home with them that looked adorable with sprinkles and little colored "donuts." As far as donut themed party games, they didn't happen. 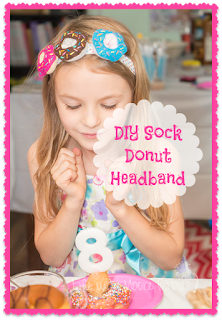 I found a game on Pinterest where you had the kids eat a donut off a dowel rod or a string with no hands; really, I thought it would be entertaining for the adults to watch. 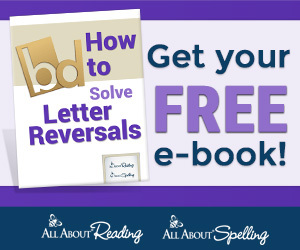 Unfortunately, my kids decided it was gross, so I just saved the time I would have put into it and let them play. 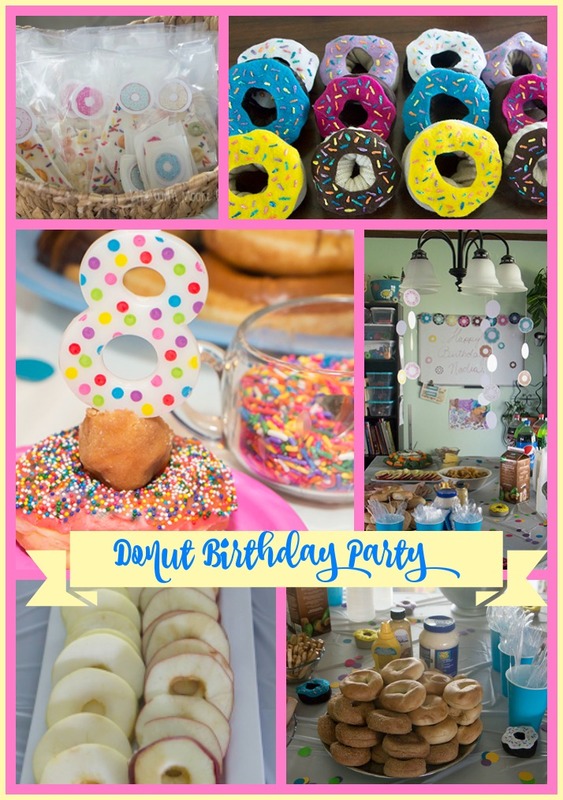 Having a Donut Party and need some printables? Grab the 2 sheets you see above HERE.